He has rarely been out of the headlines lately and Chelsea's Eden Hazard has now picked up a prize to underline his eye-catching form. 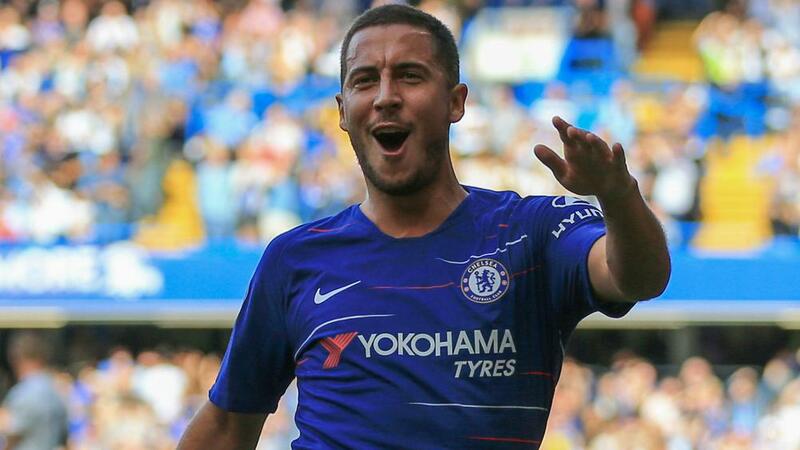 Eden Hazard's fine form has been rewarded after he received the Premier League Player of the Month award for September. The Chelsea star, who has been heavily linked with Real Madrid, netted five goals in four league outings as Maurizio Sarri's side remained unbeaten in the top flight. Hazard's month included a hat-trick against Cardiff City as the Ballon d'Or contender continued to impress. The Belgium forward has made no secret of his desire to play for Madrid, but insisted this week that he would not leave Stamford Bridge in January. The 27-year-old is away on international duty, with Roberto Martinez's side taking on Switzerland in a Nations League fixture on Friday.